The House of Representatives has released the details on worker safety and health funding in the FY 2018 Labor-HHS appropriations bill and it’s very bad news for American workers whose lives and health depend on the ability of OSHA and MSHA to enforce the laws that protect workers. The House committee bill cuts OSHA’s enforcement budget by $13.5 million, or 6.5% below the FY 2017 budget. This will be a devastating blow to OSHA’s ability to enforce the health and safety standards that keep American workers alive and healthy. The overall OSHA budget is cut 4%, all of which come out of enforcement and the Susan Harwood Worker Training grants which the bill eliminates. Meanwhile, coal miners fare even worse. MSHA’s coal enforcement budget is being cut by $11 million, almost 7 percent, after taking a $7.9 million cut in FY 2017. Standards would be flat funded, after taking a $2 million (10 percent) hit from FY 2016 to FY 2017. Metal/Non-metal enforcement takes a $2.8 million cut after that same amount was added to the MSHA budget in 2017. And as we noted last week, the NIOSH budget will be cut by (only) $10 million after Trump had proposed a catastrophic $200 million cut. The full Labor/HHS Appropriations committee meets tomorrow to mark up the bill. While OSHA’s ability to enforce the law is slashed, the agency’s federal compliance assistance budget would climb $1.4 million or almost 2% over 2017, and 5.7% over 2016. The small business Onsite Consultation Program would remain flat from 2017 and OSHA’s Susan Harwood grant program are still zeroed out as we reported last week. Because of the elimination of the Harwood Grants, OSHA’s overall FY2018 compliance assistance budget would actually fall 6.7% from FY 2017 to FY 2018 if you add all three compliance assistance programs together. Despite the Administration and Congress’s professed enthusiasm with compliance assistance, they seem to be much more intent on cutting assistance for workers than increasing compliance assistance overall. These cruel cuts in enforcement are far worse than the Trump administration’s budget proposal, which held OSHA enforcement flat and had only cut $3 million out of coal enforcement. Even with a flat budget, however, OSHA predicted that enforcement staff levels would fall 10% below FY 2016 levels. According to the AFL-CIO, OSHA had only 6.8 compliance officers per million workers in 2016, compared with 7.3 in 2001 and 10.1 in 1990. Based on FY 2016 budget numbers, OSHA would have been able to visit every workplace in the country only once every 159 years. That figure now promises to get much, much worse if the House numbers stand. And if this news isn’t bad enough, tomorrow’s full committee mark-up allows members to add poison pill budget riders to the bill — possibly affecting OSHA’s ability to enforce its silica, beryllium or recordkeeping rules. Following expected committee passage tomorrow, the bill still has to be voted on by the full House of Representatives and then considered in the Senate. So far, we have not seen the Senate budget bill. It’s unlikely we will know what’s in the Senate bill until after the August recess. Stay tuned. Jordan, this is indeed bad news. But I thank you for keeping all of us safety soldiers in the trenches aware. Having been in this business since the early days of OSHA I’ve seen the vagaries of politicians wreak havoc with other peoples health and safety. 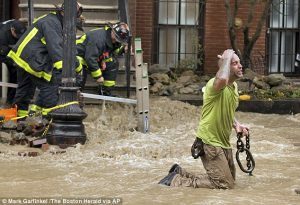 I never thought it would be so hard to help people go home safe..
May God help the working women and men of our Nation! I’m a retired miner with 41 years service to the mining industry in both coal and metal/non-metal. I’ve seen the tragedy of mining accidents first hand. Believe me I’ve been there, I do know. After Upper Big Branch did not move any of our congress to want to enhance regulations for our miners health and safety and with these latest cuts it is quite clear the GOP just don’t give a damn about any workers safety and health. I think at this point we can all agree there is no “war on coal.” The real war is on our miners and the mine safety laws that are the only lifeline to a safe workplace. One last thought, to all those involved in helping get these cuts made, what in heaven’s name were you thinking when you helped to accomplish this? One thing for certain, it was not our miners’ health and safety. Pingback: Today’s Workplace » Trump took credit for airline safety in 2017. What about the surge in coal miner deaths?